This product is now obsolete and has been replaced by the Minor 200. The Minor has been specially designed and manufactured to combine the advantages of low cost with the benefits of a well designed and engineered shaker incorporating many features usually found on larger more expensive models. It is ideal for the laboratory or plant since it is compact and genuinely portable (weighing only 17 kilos). There are no moving mechanical parts in the Minor, consequently it is very quiet in operation and maintenance free. 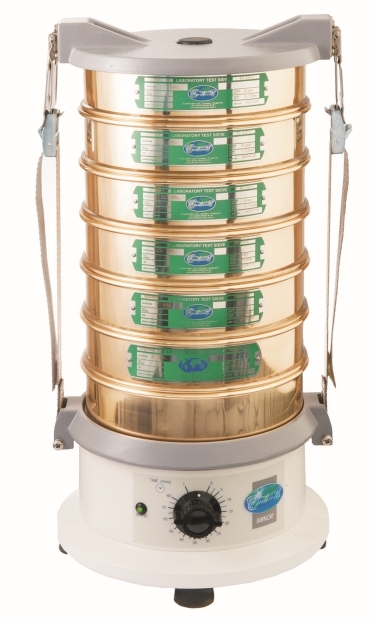 The sieve stack is held firmly in position between the location and clamp plates by an efficient, simple to use adjustable clamp system. Simply set the 0 to 60 minute timer for a timed operation or select "l" for continuous sieving. 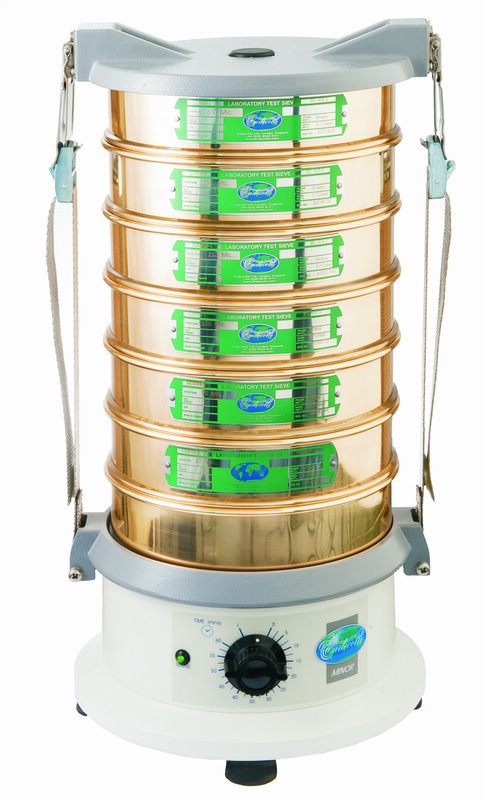 The vibrating action imparts a precise movement to the sieve stack ensuring efficient sieving and excellent repeatability. The Minor is fitted with anti-vibration feet to ensure good stability.